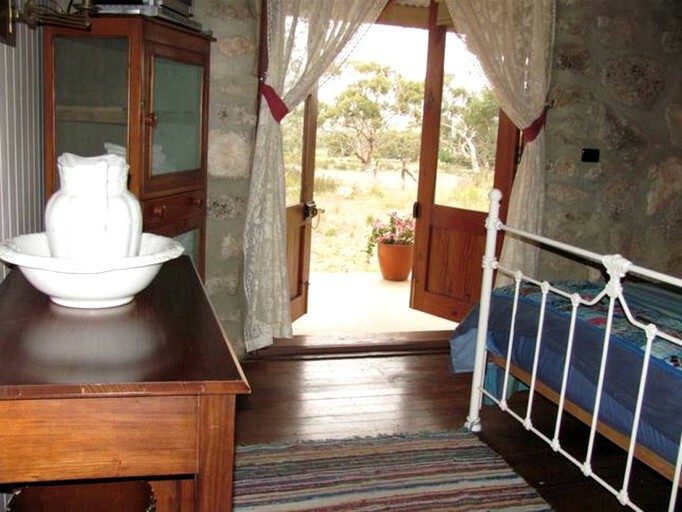 This secluded cabin rental is located on a beautiful farm in the country near Adelaide, South Australia, and can accommodate up to eight guests. There are three bedrooms and one full bathroom. In the first bedroom, guests will find an inviting queen-size bed. The second bedroom has one full-size bed and one twin bed. In the third bedroom, there are three twin beds. In the bathroom, guests will find a toilet, a sink, and a combination shower and bathtub. Linens and towels are provided. In the cozy living room, glampers can relax on the comfortable sofa while watching television or turn on the DVD player for a movie night in front of the wood-burning fireplace. 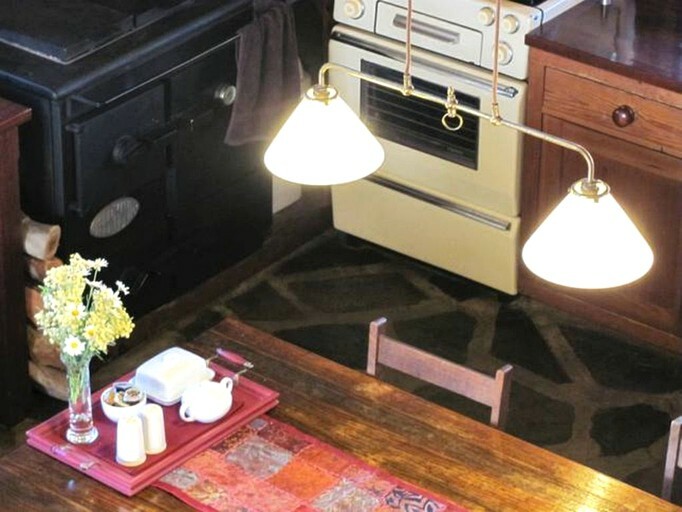 The fully-equipped kitchen comes with a wood-burning stove and oven, a gas stove and oven, a refrigerator, a microwave, a toaster, and a coffeemaker. The kitchen also comes stocked with breakfast provisions for two days, including cereal, bacon, tomatoes, juice, bread, eggs, milk, butter, mineral water, sugar, sauce, olive oil, tea bags, coffee, and drinking chocolate. Other amenities include internet access, heating, a washing machine, a stereo, books, games, a movie collection, and on-site parking. 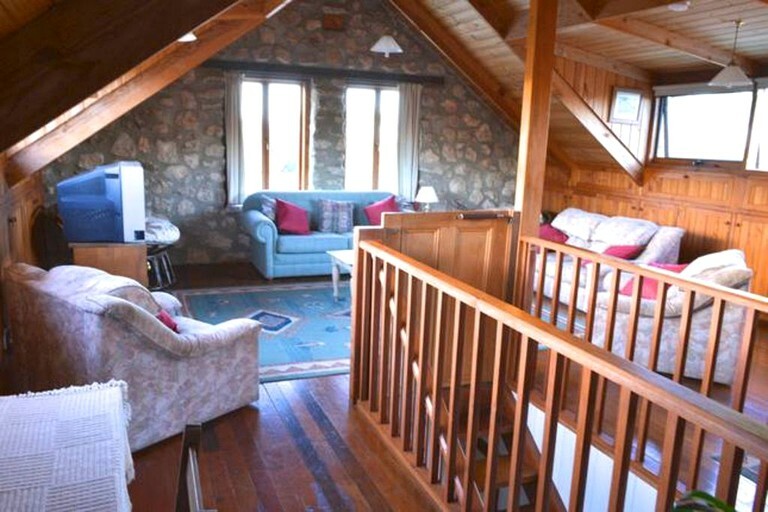 Glampers at this cabin will enjoy all the amenities necessary to feel right at home in the countryside. The cabin features a cozy living room with a comfortable sofa, a wood-burning fireplace, and a flat-screen television with a DVD player. 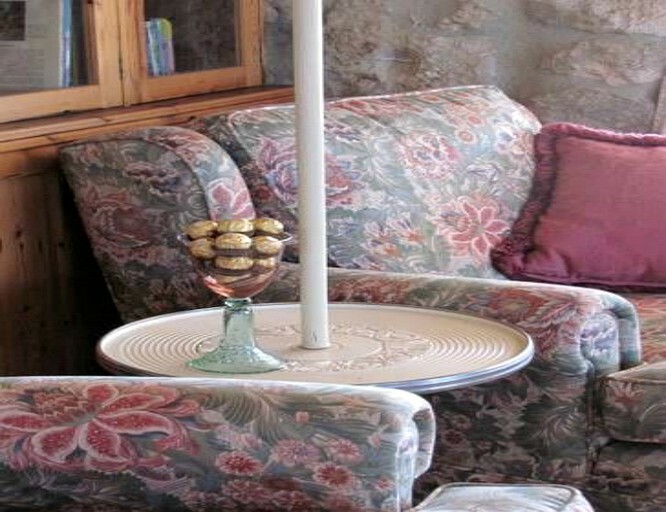 Other amenities include books, games, a DVD collection, internet access, a washing machine, wood heating, and on-site parking. Outside, glampers will especially enjoy the spacious wrap-around deck complete with plenty of patio furniture and a barbecue. 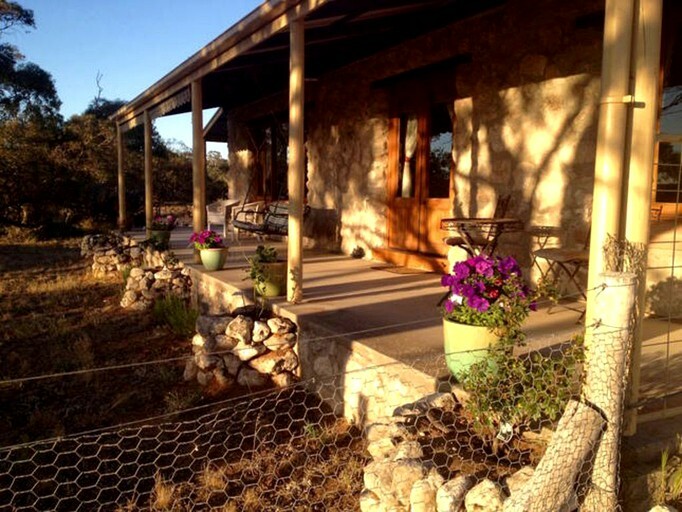 The property also features 150 beautiful acres of bushland to explore and a fire pit where guests can gather in the evenings. 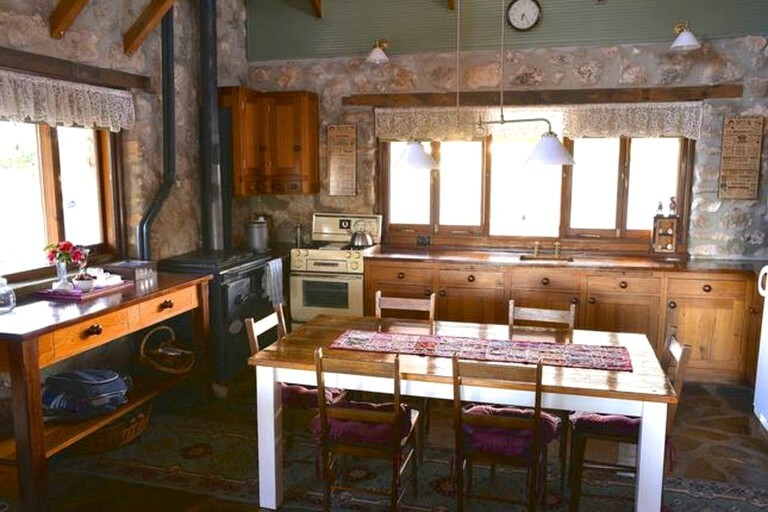 This rustic cabin rental is located in the rolling countryside just outside of Adelaide, Australia. Tucked away on a beautiful 150-acre farm, the property features a peaceful natural setting and plenty of space for glampers to explore. 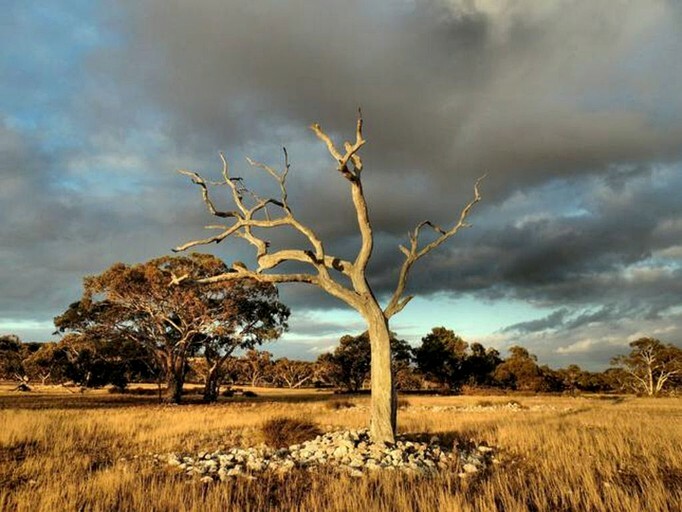 The farm is also home to several animals, including free-range chickens, sheep, lambs, and abundant wildlife including kangaroos, lizards, and a variety of bird species. 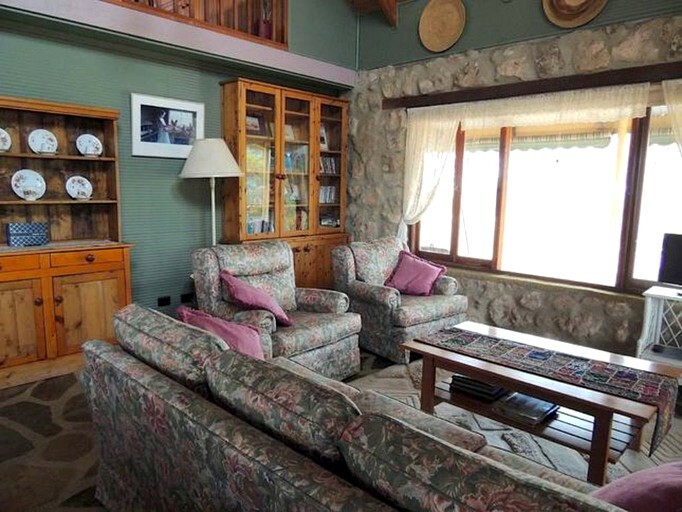 This unique property is based in the perfect location for enjoying a wide variety of outdoor activities. On the farm, guests can collect eggs from the free-range chickens, observe the on-site farm animals and wildlife, or enjoy a scenic walk on the 150-acre property. In the surrounding countryside, wine lovers will especially enjoy visiting the many local vineyards and wineries. 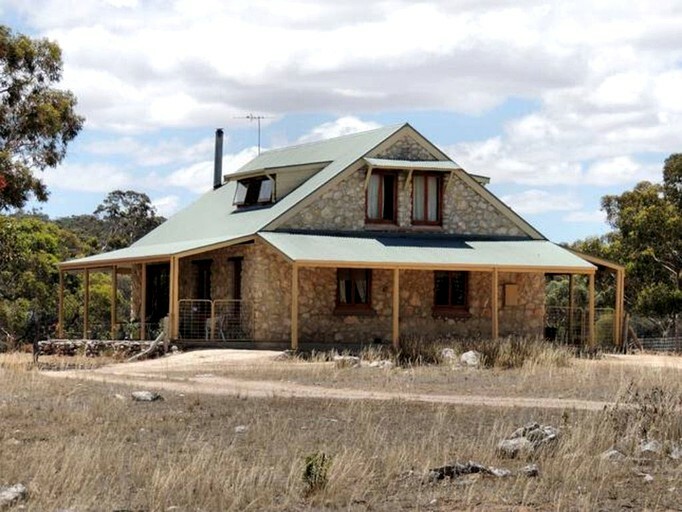 Glampers can also explore some of the historic villages nearby, sample some of the best produce in South Australia from local farms and wineries, as well as explore the beautiful Mount Lofty Ranges and the mighty River Murray. Other popular activities in the area include cycling, bird watching, meditation, and photography. From relaxing around the fire pit back on the farm to getting out an exploring all that the breathtaking Adelaide Hills region has to offer, guests are sure to find plenty of exciting activities to fill their itineraries during their stay. This is a pet-friendly property. Only one house trained dog permitted per stay.